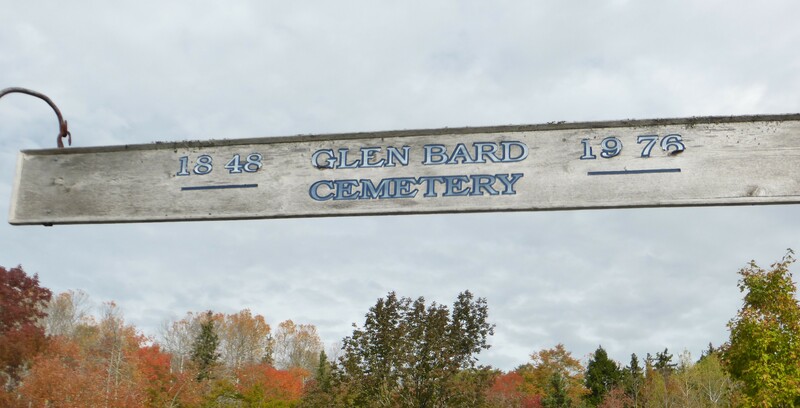 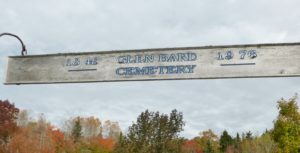 Colour photograph of the entrance sign to Glen Bard Cemetery in Antigonish County, Nova Scotia, Canada, in 2017. 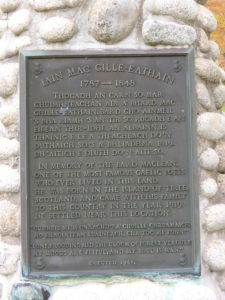 The Tiree poet John MacLean was the first person buried there, in 1848, and the cemetery named after him. 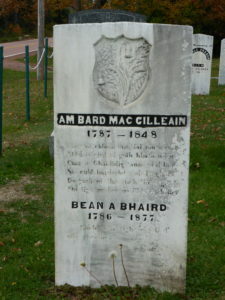 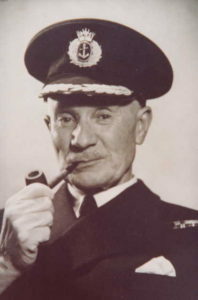 Bard John MacLean emigrated from Caoles to Nova Scotia with his wife and three children in 1819.